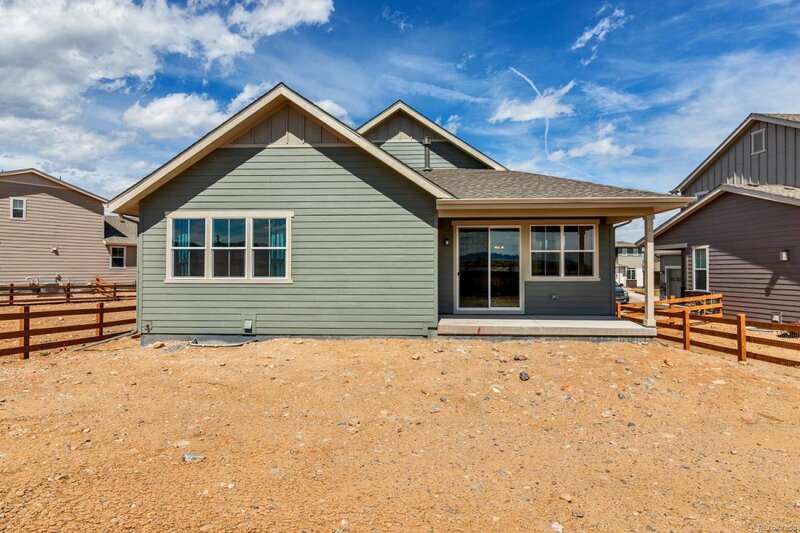 Why build… beautiful new ranch home on great lot. Big covered front porch welcomes you to this home. Gorgeous wood floors throughout main floor. Chefs kitchen with an abundance of white cabinets and granite countertops. Huge island with lots of breakfast bar seating. Gas range, double oven, stainless steel appliances and pantry. Bright living room full of windows. Fireplace with rustic wood mantle. Master bedroom with walk in closet and master bath. Private office with french doors. 2 additional bedrooms plus full bath. Basement ready for your finishes. Covered patio in back with mountain views. 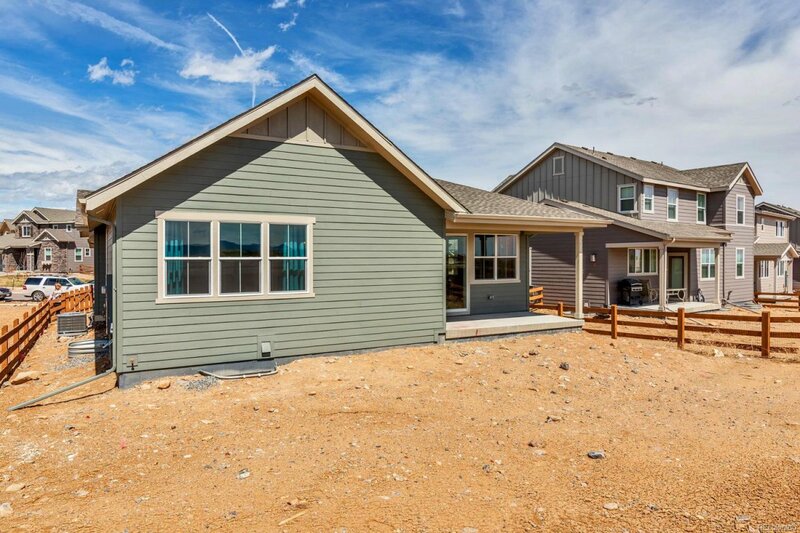 Great lot with open space on one side and no homes behind. Fully fenced yard. Front yard landscaping to be completed soon. Three Creeks K-8 blocks away. Enjoy Candelas 2 pools, 2 fitness facilities, baseball field, basketball court, tennis court, parks and lots of trails. Front yard landscaping to be completed soon.